I love Minions! I honestly think I am more excited about the Minions Movie than my kids are. Unfortunately, as it seems to happen with most movies, we weren’t able to see it the day it came out. Miss S is at summer camp this week and next, and would not forgive me if we saw it without her. Yes, that may be a bit dramatic for my 13 year-old, but she really is looking forward to seeing it, so we promised to wait until she gets back. And I will try with every fiber of my being to keep that promise! In the meantime though, Cap’n C and I wanted to have some Minion fun while we are waiting. For a lot of movies I plan to take my kids to, I like to at least read a review to know if there is anything I may need to follow-up a conversation with. This usually applies more to PG-13 movies and my 13 year-old, not so much for G and PG animated movies. But just in case, I read this review from Plugged In. That site and Common Sense Media are usually my go-to’s for reviews. Cap’n C and I had to drive about 2 hours to take Miss S to summer camp, so this was a good time to remind him of the iPad game Minion Rush that he loves. 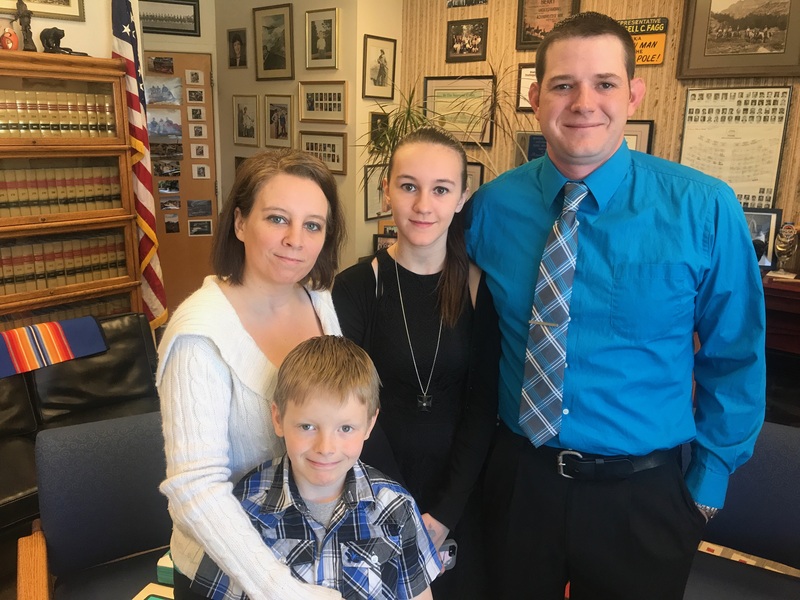 He played that quietly for the drive, giving Miss S and I time to talk on the drive about situations she could encounter at camp and what she was looking forward to. I fully expect her to have an amazing week at camp and another bonus is it’s the same christian camp her dad went to when he was her age! 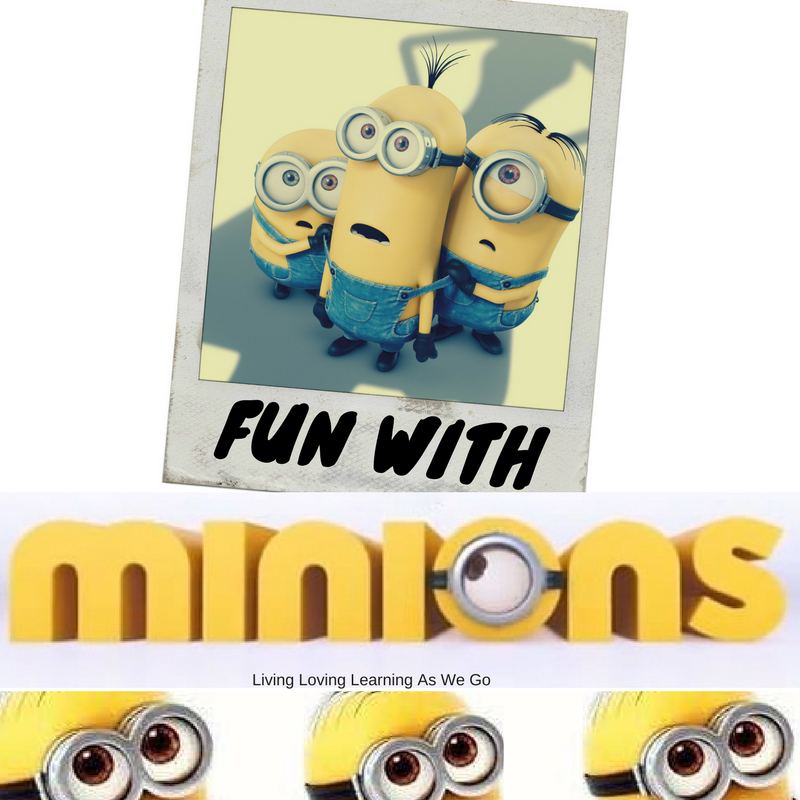 While searching for some Minion inspiration and fun, I came across this activity pack from Toysrus. 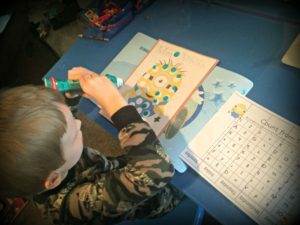 It has 25 pages of activities, mazes, and coloring pages. That should provide at least a couple of days of fun. Cap’n C was pretty thrilled about it. There’s also a sweepstakes for an Ultimate Minion Birthday Party including a trip for four to NYC, a $500 Toysrus giftcard, and more! 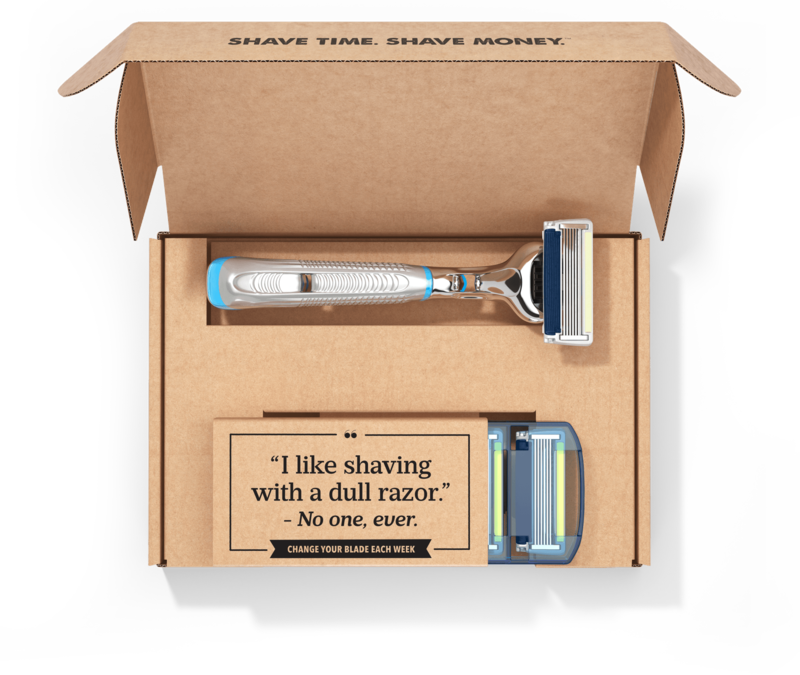 (Sweepstakes ended) I have never won these kinds of things, but it never hurts to try. Someone has to win, right? And we found 2 more trailers! More opportunities to see the Minions and hear the Minionese! 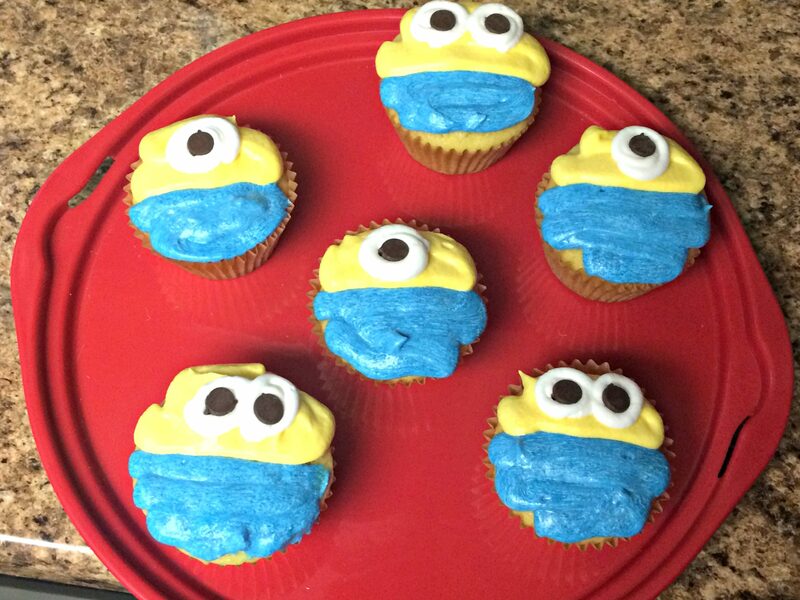 Can you tell we love the Minions around here?! I spontaneously decided to make Cap’n C some homemade playdough (using this recipe here) and found that this printable pack has a page to make the play dough shapes into. 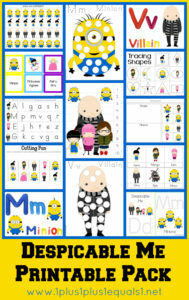 Now I know it is really a Despicable Me printable pack, but I looked through it and printed a couple of the Minion pages-the play dough shapes, the Minion do-a-dot, and count from 1-20. Cap’n C enjoyed them just because they had Minions and he got to use a bingo dotter! He loves those things. On the Minions Movie site there is a section called Behind the Goggles where you can get a look at some of the storyboards and drawings for the movie. It’s interesting to see the ideas for the movie and how the came together for the final complete movie. I really can’t wait to go see this movie, so hopefully this week goes by fast and Miss S gets home so we can go see it together. In the meantime, we will just keep busy with our Minion activities. 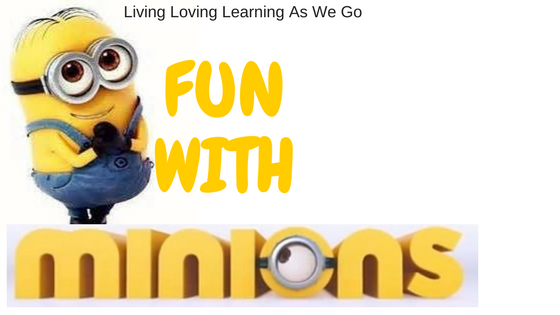 Be sure to check out the Minions Fun event at your local Barnes & Noble on July 17th too! ***I do not have any affiliation with Minions Movie production, Universal Studios, Illumination Entertainment, Toysrus or Barnes & Noble. All opinions are my own and I was not compensated in any way for the mentioning of them.